Why don’t you start by telling us a little about yourself? In 2013 I started a company called Electric Blue. I have worked for a number of small businesses and start-ups over the years which really cemented my desire to start my own business. While I have worked in a number of different industries it has always been my ambition to start a business that had a positive social impact. If I could put it in simple terms I set out to do something good, profitably. The vision for Electric Blue is to help move the UK towards a zero emission future. We have chosen to start in the automotive industry and initially with taxis. 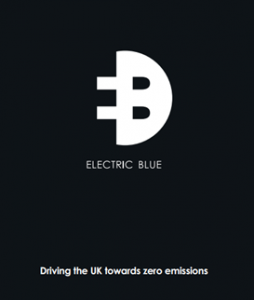 Electric Blue is seeking to validate the concept that zero emission vehicles – in this case electric vehicles (EVs) – are not only beneficial for our health and the environment but, perhaps more persuasively, they are easier on our wallets. We are attempting to break down the barriers that prevent widespread adoption. As with any new technology the limited scale tends to result initially in higher capital costs. EVs present two additional challenges, the first of which is that we have to understand how and where people will charge them and then build the infrastructure to permit that. Secondly, we have to change the perception of electric propulsion from that of the humble milk float to a perfectly functional and viable alternative. Can you tell us about your journey towards starting up your own business? I worked in London for an eco-friendly taxi company, where I was able to witness first hand the benefits of reducing emissions. Both business and private customers were attracted to the idea that they can be ‘green’ at no extra cost and often while saving money. The concept also appealed to drivers who saw the reduced fuel costs. However, that company used hybrid vehicles, which although they have lower emissions, they do still use petrol engines. At this point I began to investigate whether we could go one step further and remove the exhaust emissions entirely. I spent about 6 months talking to drivers, vehicle manufacturers, power companies and other organisations before deciding to commit to this project. How did you become so interested and passionate about environmental issues? There are probably three key reasons for my interest in this area. Firstly, like 99% of people I have a desire to help those around me. We are all aware of the entirely unnecessary suffering of a truly staggering number of people, suffering which will be exacerbated by the onset of climate change. That would explain my interest in the subject, however my motivation to get involved comes from my interest in systems and the way we design and alter them. While awareness of the challenges facing us is increasing, many people are unaware of how many solutions have already been developed. Unfortunately, we are failing to implement these solutions. I believe that I have something to contribute into applying these solutions. Finally, acting to reduce emissions is the most logical course of action. This is true for many reasons, but to pick just one, even if there was no climate change or it was not man made, simply removing air pollution that is responsible for tens of thousands of deaths each year in the UK would be worthwhile. What’s the biggest myth about starting your own business? What have been the high and lows of your process of launching your own business? We are still in the early stages of the business but there have already been a few successes and challenges! Ordering the first car was certainly a very exciting time. I have thoroughly enjoyed the challenge of starting a business, but the ‘red-tape roadblocks’ have at times tested the limits of my patience! I have certainly never been one for filling in paperwork and starting a business does mean a fair amount of forms! However, as electric taxis begin to become a common sight on the roads it will all be worth it. 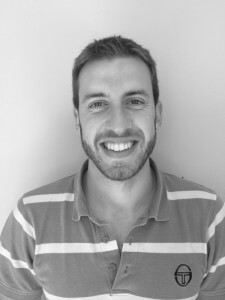 What’s the best advice you received with regards to your starting up? To decide what you are going to do, get up and go and do it. Worrying about whether you might fail, or succeed and be unable to cope will not get you anywhere. A friend who had seen a number of entrepreneurs pitching their businesses to investors told me to prepare myself for the time when I am sitting in a meeting and someone throws a question that leaves you sitting there feeling like the single biggest prat in the world. The important thing is to not shy away from it but to embrace it, learn from it (laugh about it with friends and family) and then move on. What are your ambitions for the future of your business? To build a model that can be scaled up and rolled out nationwide, that ultimately breaks down the barriers preventing EVs from becoming the main method of vehicle propulsion. I want to work with our partners, local drivers, companies and councils to see electric taxis in every town within 5-10 years. Have you got any top tips for anyone thinking of starting up a business? 1 – Decide what you want to do and then go and do it. The end goal may and probably will change as you move forwards, but that is all part of the fun. 2 – Don’t be afraid of making mistakes, everyone does, it is one of the ways we learn. 3 – Find something that you believe in, it is always easier to put in the extra effort and to make the sacrifices when you are passionate about what you are doing. 4 – Ignore the pessimists and the armchair critics. 5 – Do something that makes a positive difference, however small, it is the most rewarding. And finally, what does the word entrepreneur mean to you? To me an entrepreneur is someone who looks for opportunities – often where others see problems – and then develops and implements an idea. It requires an element of risk taking, of challenging the status quo and accepting that not all ideas succeed. However, so many of our most creative, disruptive business and organisations have grown from one daring (and probably lucky) person who set out to change something. To find out more about Electric Blue, visit their website or Facebook page.